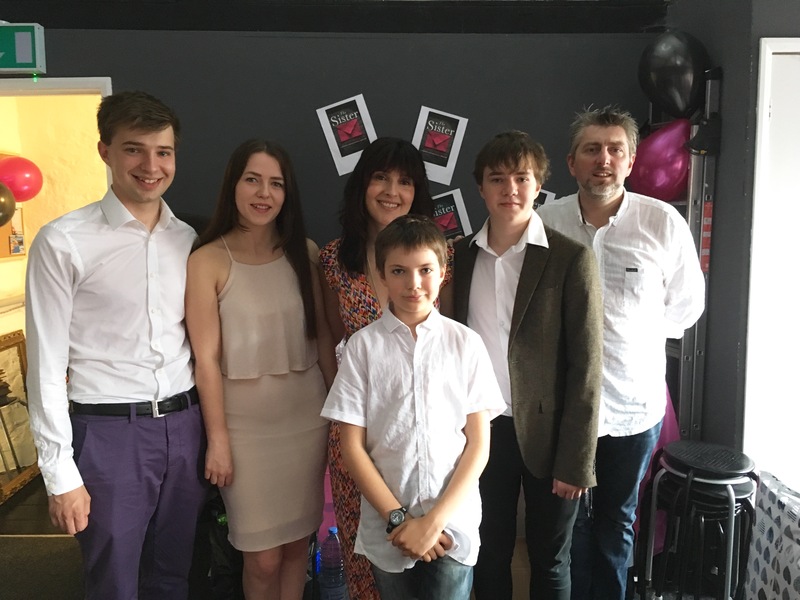 One year published, 750,000 sales – what’s it really been like? Exactly a year ago was a dream-come-true- kind of day. I remember snapping awake, brushing the sleep out of my eyes, instantly my stomach swirling with excitement and nerves. 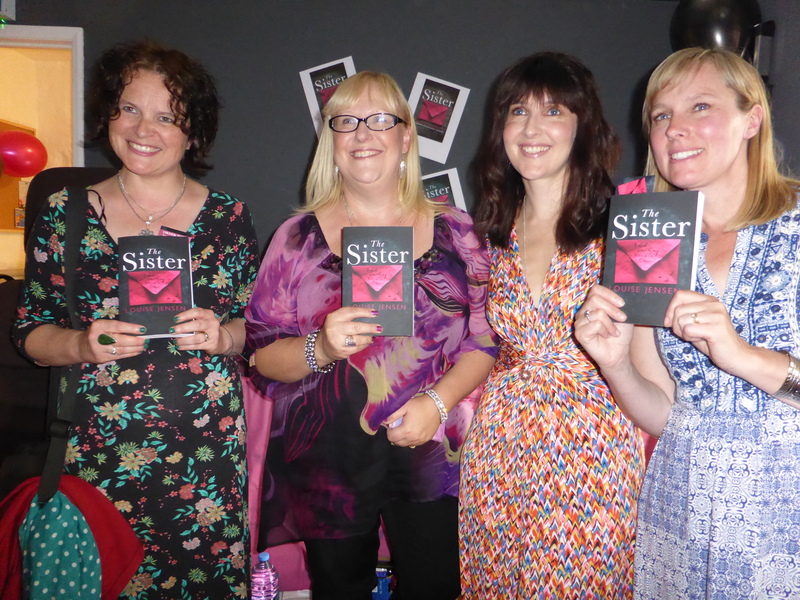 It was publication day for my debut novel The Sister which was already receiving rave reviews and flying up the charts. I had a fabulous publisher and a contract to write two more novels. My lifelong ambition was realised as I smiled for the camera and held my paperback tightly in my hand like the precious gift it was. It stands to reason I lived happily ever after, right? Yes. But it took a while. 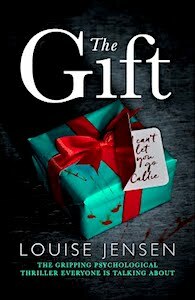 After The Sister I was nominated for the Goodreads Debut Author of 2016 and then came publication of The Gift. With both my first two books reaching No. 1 in the UK and abroad came a shift in my thinking. Although I still felt like an impostor, afraid it would all disappear in an instant, no longer did I mutter when someone asked what I did for a living. I admitted to being a writer albeit before looking at my shoes and hurriedly changing the subject. Yet, I didn’t quite feel like an author but it was progress of sorts. It’s been a whirlwind year and often chaotic and I’ve learned a big lesson in time management, in finding that all important balance between work/family life. 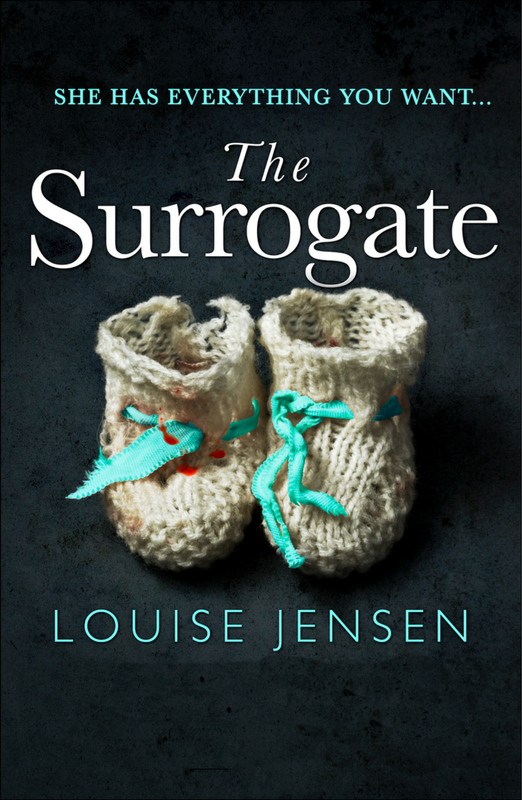 The Sister was nominated for a CWA Dagger Award and amazingly after 12 months it is still sitting comfortably in the top 100 in psychological fiction, as is The Gift and now it has been joined by The Surrogate, my forthcoming novel, which is currently available to pre order and will be released in September. I’m so excited about this book, my best so far I think, already it’s made the Top 10 in psychological thrillers and the Top 50 in the overall UK chart. Last week my publishers told me I had achieved 750,000 English language sales (more if you take into account sales in other territories) and the thought of three quarters of a million people reading my books caused another shift in my thinking. At a barbecue last weekend someone asked what I did for a living and for the first time ever I said ‘I’m an author,’ and I didn’t even look at my shoes. Finally, an author. I’m living my dream and with a head full of stories there is honestly nothing else I’d rather be doing. Every day I think how lucky I am – I’m so grateful for this opportunity. I always wanted to be a writer, but never had the opportunity to go to university, and every time I read a book I loved I would Google the author, reading interviews, and often they would say they had completed a degree in creative writing, or similar courses. Later in life, I started looking into courses, but an accident left me with a disability, my business folded, and with three children to support I wasn’t able, physically or financially, to follow my dream. 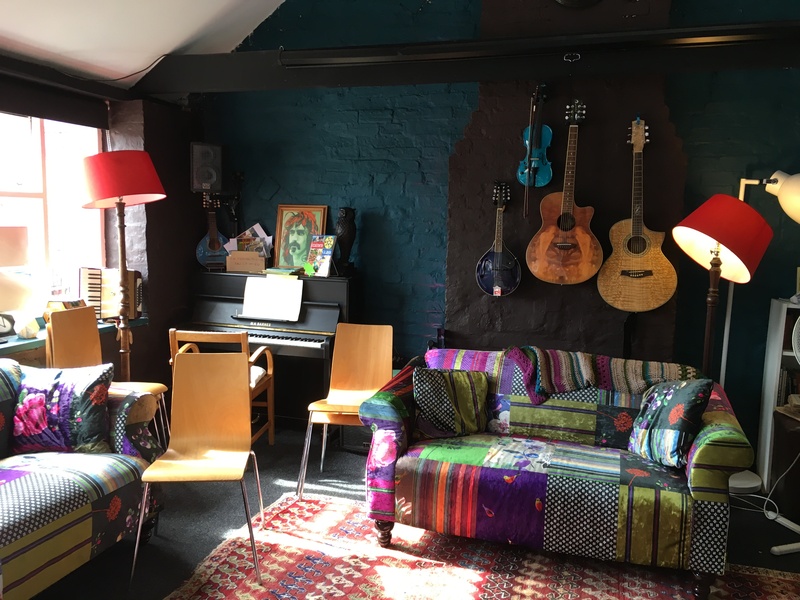 When I first heard about The WoMentoring Project, a scheme offering free mentoring to up and coming female talent who otherwise might not be in a position to progress with their writing, I was hugely excited. Looking through the list of mentors I noticed Louise Walters, and having recently read her book Mrs Sinclair’s Suitcase, which I loved, I decided to apply. I was delighted when she accepted my application, and although the mentoring only took place for a few weeks, throughout that time my writing and my confidence flourished. 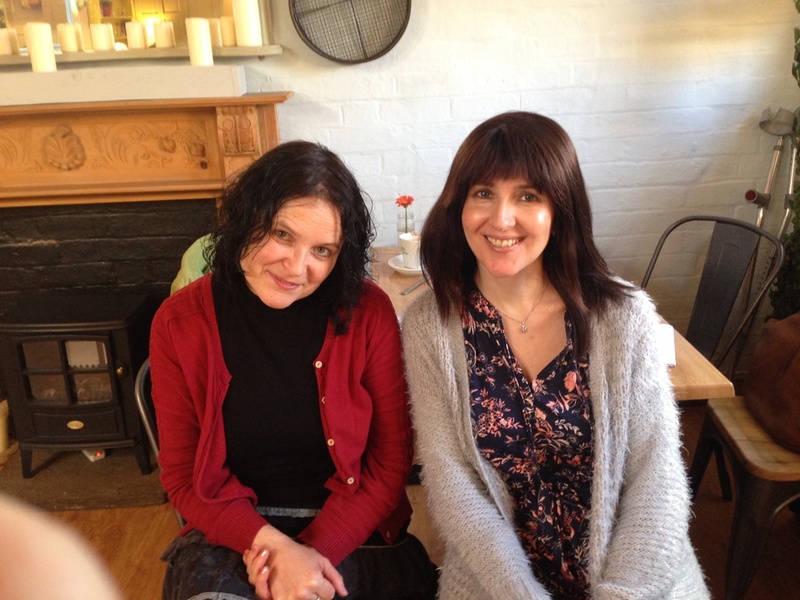 You can read about mine and Louise’s first meeting here, and our follow-up meeting here. 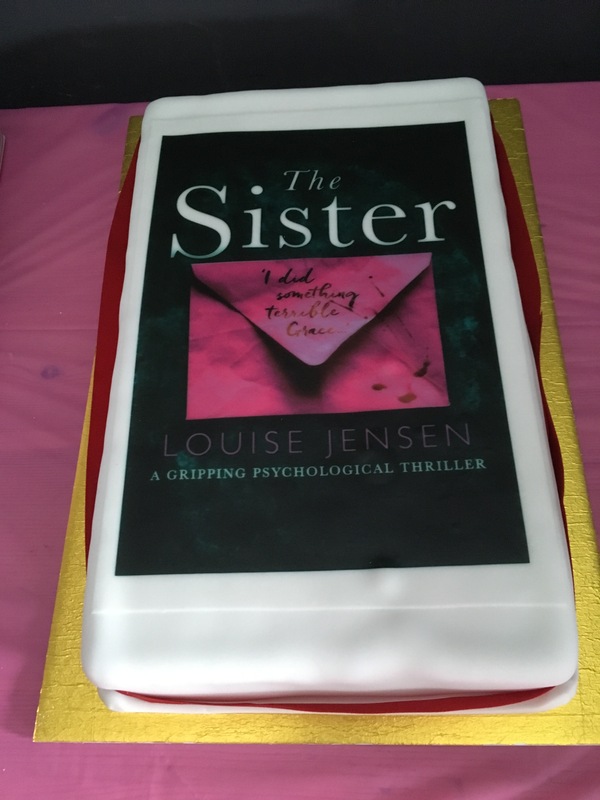 It has now been 2 1/2 years since I was mentored, and during that time I have signed a 3 book deal, published my first two novels – The Sister and The Gift – both of which reached No.1 on Amazon UK, and Canada. I have sold over 750,000 books, and my stories have been sold to over 15 territories for translation. In 2016 I was nominated for The Goodreads Debut Author of the Year Award. I owe a huge amount to the project, in particular Louise Walters. My time with her gave me a good grounding on how to structure a novel, and how a story should flow, and I really believe if it weren’t for the opportunity, my first novel would not have been of a high enough standard to be published and I wouldn’t be where I am right now. I am eternally grateful. I am thrilled Kerry Hudson, the founder of this amazing project, has again accepted my application, but this time I am returning as a mentor. Paying it forward is something I strongly believe in and I feel privileged to now be in a position to give back. If you are a female writer and feel you would benefit from mentoring, you can apply to me via the project. To see if we are a good fit you can read more about what I’m looking for here, and if you are writing outside my genre there are lots of other mentors available. Saturday was sweltering, and as we drove to the location I’d booked for my launch party for my stomach churned with nerves. Would the room be too small? Too hot? Would I be expected to do a speech? Would I faint? ‘Not Just Words’ is a quirky bookstore in Kettering, Northants. It’s packed full of books, as you’d expect but also instruments, games and is such a great place to hang out. Jacob, the super talented pianist I’d hired, arrived alittle after us and the shop was soon filled with music as we set up the room. It was a frantic hour pumping up balloons, trying to arrange the alcohol without drinking it all, and once again, I couldn’t have done it without my amazing husband, Tim. I was overwhelmed by the love and support I received. Being a mum has always been so rewarding and I’m immensely proud of my three boys. To hear my 21 year old son, who never reads fiction, declare he’d finished my book the night before and it was ‘better than the TV’ was one of the greatest moments of my life. 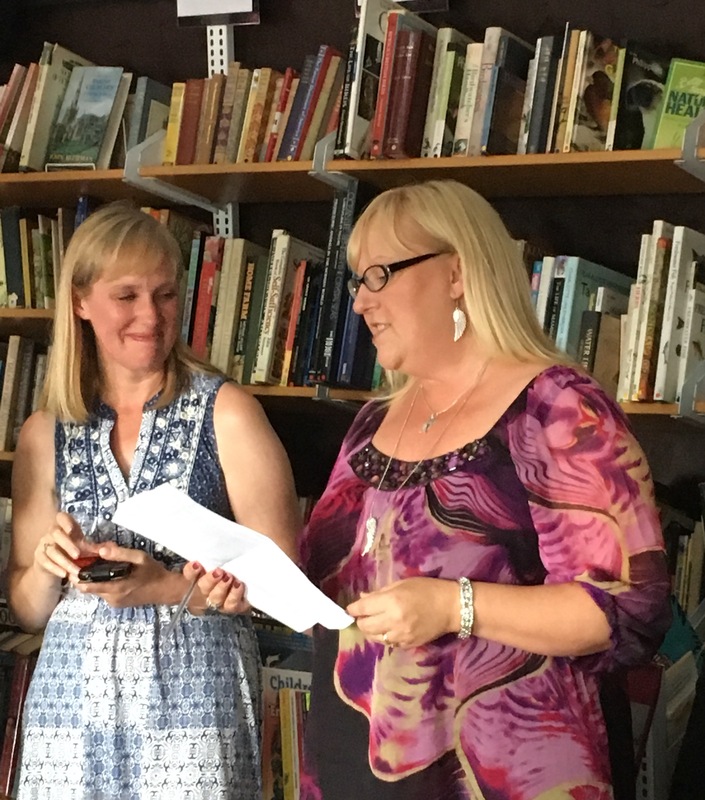 Kim Nash, Marketing and Social Media Manager from Bookouture, and now a very dear friend, travelled to support me and gave a lovely speech written by my editor Lydia. It was super exciting to hear Kim read out snippets of reviews and chart positions. 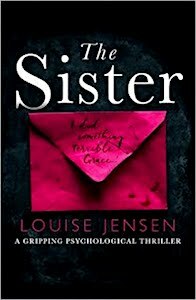 It’s phenomenal The Sister reached the top ten in the UK, US and Canada within days of its release and so nice to have made my mum and sister proud. 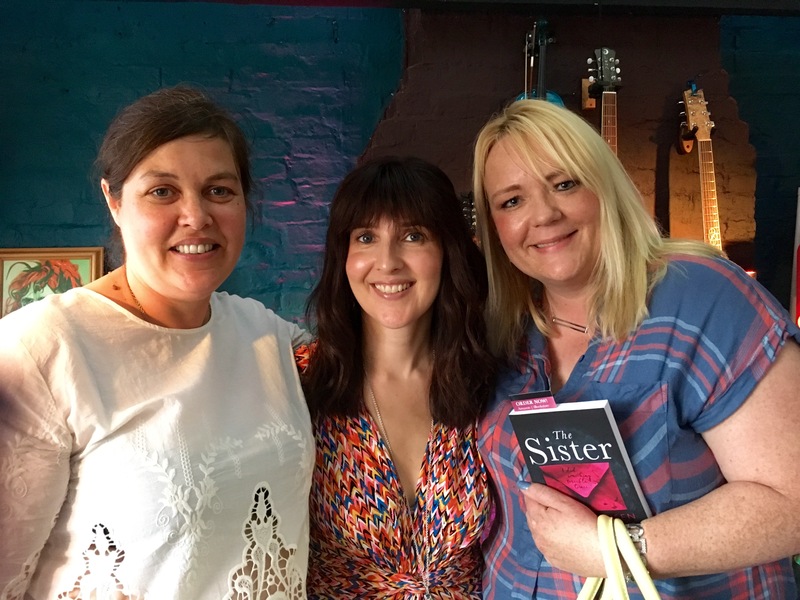 I was so pleased to be able to share my evening with Louise Walters and Jane Isaac. Louise was my mentor via the WoMentoring Project. I really do feel incredibly grateful to her and don’t think I’d be published today without her guidance at the beginning of my writing process. Jane was always at the end of the phone to answer my many, many questions about publishing. Having the two best friends a girl could ever have by my side (Natalie Brewin and Sarah Wade I’m looking at you) was the icing on what was an extremely tasty cake. The evening was fabulous, and one I’ll always remember. I even summoned up the courage to make a speech. 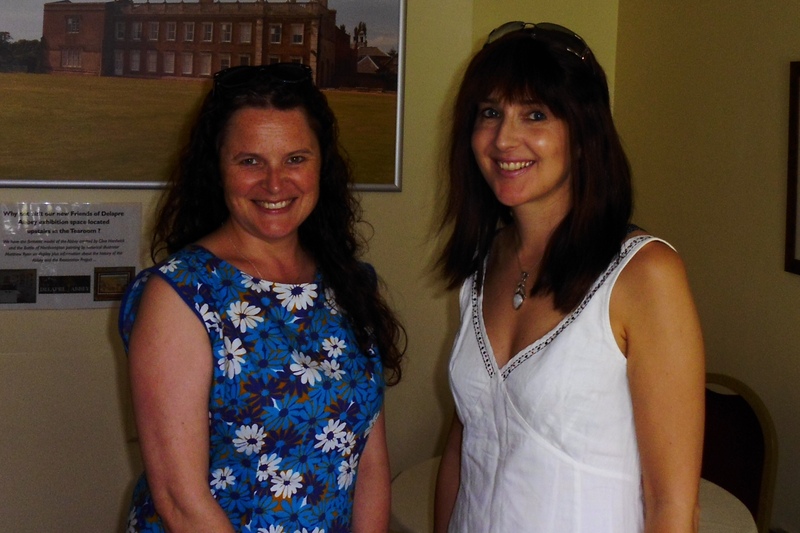 In May 2015 I was lucky enough to be offered a place on The WoMentoring Project and receive a few weeks of mentoring from the lovely Louise Walters, author of the fabulous Mrs Sinclair’s Suitcase, and the forthcoming ‘A Life Between Us.’ (Due to be published February 2017). The support I received was invaluable and really helped shape me as a writer. 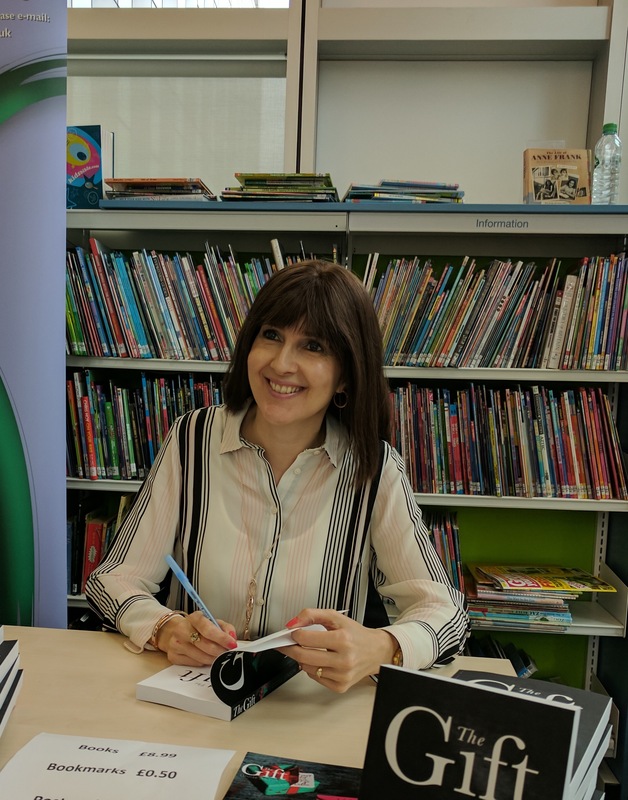 It was thrilling to recently get together with Louise to celebrate my book deal, and amongst the coffee, cake and talk about books, it was great to compare our experience of the project. LJ: How did you hear about the WoMentoring project? LW: Twitter! I hear most of my bookish news through Twitter. LJ: Me too – I’m using it more and more. Why did you want to be a mentor? LW: I wanted to help other women to write. As soon as I heard about the project I knew I wanted to be involved. I know how hard it can be to find the time to write, to find the money for a critique, and perhaps most importantly, to find the self-belief. I also thought it would be beneficial to my own writing, and it has been. When I spot something that isn’t working, I often react with “OMG, I do that!” So critiquing others’ work is I hope mutually beneficial. Why did you apply to the Womentoring project? LJ: I’d gone to a local writing group with the view to writing a non-fiction book. At the beginning of the meeting we were given a couple of words and ten minutes to write something. 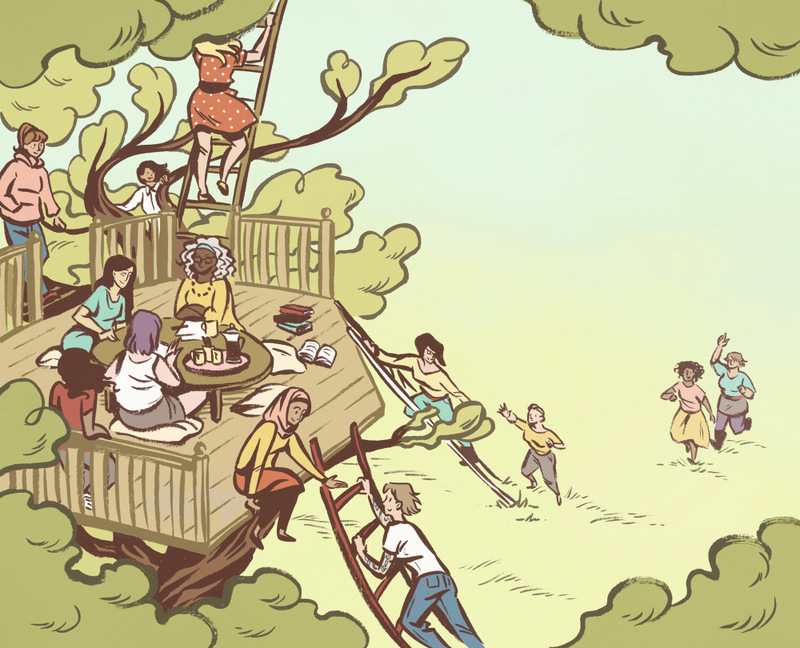 The bare bones of what is now Chapter One of The Sister was born. I spent the next few days thinking about Grace, my main character, and when someone from the group sent me a link to The WoMentoring Project and suggested I should apply and develop my writing I checked it out, and then discounted it straight away. I thought it was aimed at ‘proper’ writers. Not someone with no experience or qualifications, who had only scribbled down a few lines on a torn out sheet of a notebook. I bookmarked the page though. I’d noticed you on the list of mentors and having just finished, and fallen in love with Mrs Sinclair’s Suitcase, I felt really drawn to apply. It took days and days and a few glasses of wine before I felt brave enough to email, and I never dreamed I’d be accepted. Why did you pick me as your mentee? LW: I liked your writing and it was easy to spot your talent. I also spotted areas for improvement and I thought we might be a good match. The fact you live not a million miles from me helped too, as I thought it would be lovely to meet up. Also in your application you stuck to the word limits and applied as per the Womentoring Project instructions. I turned down other applicants because they didn’t do this. How did the mentoring help? LJ: Firstly, it gave me the confidence to try. When we first talked and I said I wanted to write a short story you asked ‘why not write a novel?’ as if I could, and I felt a real spark of ‘could I?’ That spark grew and grew until I scrubbed out the title of my story and wrote ‘Chapter One’ instead. Your offer to critique my first 10,000 words drove me forwards but I never quite believed I could write so much – having never written more than 200 words before, but I wrote and wrote until I had the first few chapters. I was euphoric! I sent them over to you half-expecting you to call and tell me they were so brilliant you’d sent them to your publisher! Of course, they weren’t good, as first drafts often aren’t. You told me, so kindly, they’d be great as individual short stories but they didn’t flow like a novel should and I didn’t hesitate in deleting them. LW: I had no idea you’d deleted all those words! I hope I wasn’t too blunt… it’s so important for writers who want to publish their work to grasp that a novel is more than a series of events… it’s the tale you weave around those events that makes a story, and makes a novel. LJ: I went back to basics. I’ve always been an avid reader but I started to read like a writer instead, noticing the flow, the sub-plot, those subtle undercurrents and then I tried again, frantically trying to write another 10,000 before our mentoring period ended. The relief when you liked my second attempt was immense and I think that’s where mentoring was so beneficial. Getting that flow, that balance, is so critical. I feel so lucky I got the advice I did, 10,000 words in and didn’t spend the next 18 months writing a book that no-one would want to read. Did it take long to read and critique my work? LW: Longer than I thought it would, to be honest! I had to concentrate really hard! LJ: You were very thorough. Were you comfortable with criticising? LW: Yes, I think so. I know only too well how painful it can be to receive criticism, so I tried to remain constructive and positive, while at the same time be honest enough to be of decent help. I didn’t want to demoralise you. I was relieved to find that you were sure enough in your own aims and abilities to not necessarily agree with everything I suggested… Mittens, anyone??!! LJ: Yes! You really didn’t like the cat in Chapter One and although I took most of your advice on board, the cat you didn’t like, stayed. I think building enough confidence to develop my own voice, trust my own instincts and not take things that aren’t working personally, has stood me in good stead to cope well with the inevitable rejections, and now the publisher’s edits. Writing in present tense is something I wouldn’t have dared try at the beginning as so many people don’t like it but by the time I’d finished the first draft in past tense, I knew I hadn’t written a book I’d love to read. That meant going back to the beginning and changing the tense, and then losing the last 40,000 words completely to change the genre. I feel like I’ve written more than one book during this process but I’ve honestly loved every second of it. LW: Would you recommend the WoMentoring Project to other writing women? LJ: Absolutely. 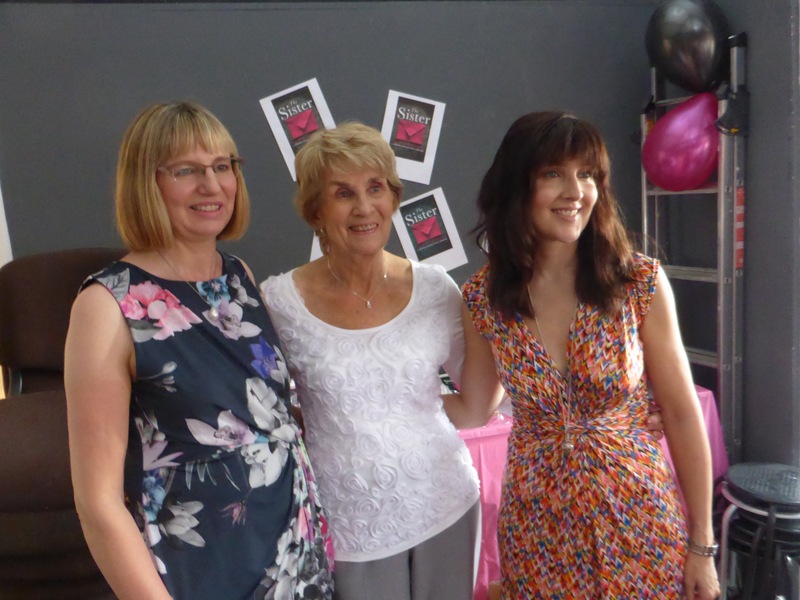 It’s hard to believe that 18 months ago I’d never written any fiction except a couple of 100 word stories and now I’ve signed a three-book deal with Bookouture. 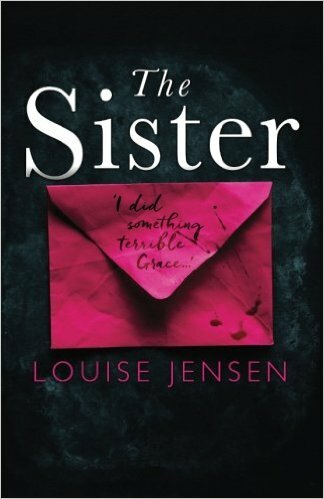 My first novel, The Sister, will be out in July 2016 and I feel so grateful to Kerry Hudson for founding the WoMentoring Project and all the women who volunteer their time to help fledging writers find their voice. I’m indebted to you for helping make my dream come true and I’m fully intent on paying it forward. You can read my previous posts tracking my experience of the project here, here and here. The WoMentoring Project is still open for applications and offers free mentoring by professional literary women to talented up and coming female writers who would otherwise find it difficult to access similar opportunities. Their mission is simple: to introduce successful literary women to other women writers at the beginning of their careers who would benefit from some insight, knowledge and support. The hope is that new, talented and diverse female voices emerge as a result of time and guidance received from our mentors. I have always had an obsession with books, but aside from a couple of flash fiction pieces I wrote several years ago, I had never tried to write. 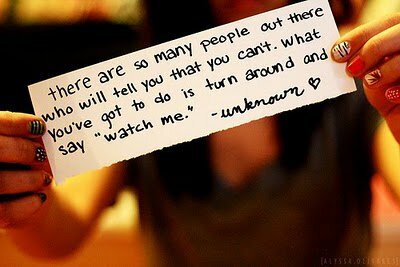 I guess I never believed that I could. Last April I wanted to try, I set up this blog and here I am. Throughout the last few weeks I have regularly been posting short stories and have completely fallen in love with the writing process, to be able to immerse myself in characters and plots of my own making has been a total joy. With encouragement from the lovely Louise Walters, author of the fabulous Mrs Sinclair’s Suitcase, I decided to try to write a novel. When I began, back in May, I found it unimaginable that I may be able to write 1000 words, ten times more than my longest story, and yet, several weeks on, I have broken the 40,000 barrier. Eager to learn the craft, I have been reading many blogs and articles on novel writing. I have read page after page telling me that first novels are always terrible, that I need to write three books before I have one that’s readable, that I will most probably give up before I reach the end, that I…… no, actually that’s when I stopped reading. I don’t want to dampen my enthusiasm so I choose to believe that maybe, just maybe, with handwork and passion I can write something that I can be proud of, and if I can’t, then I will have had a blast trying. Fabricating Fiction or The Naive Novelist? Time will tell. My experience as a mentee (aka Louise Walters killed my cat). The email to say I had been successful in my application to the WoMentoring Project triggered an impromtu happy dance around the lounge. ‘I have a mentor!’ I joyfully told my son who was huddled on the edge of the sofa, mentally calculating his escape route. ‘What does a mentor do?’ he asked. ‘Yeah. Good luck with that, Mum.’ He bolted for the door. Euphoria was replaced by hot panic. What had I done? I had only decided to write fiction 2 weeks before. I had no education, no experience, and couldn’t distinguish a noun from an adjective. I met my mentor, Louise Walters, clutching my ideas and passion tightly, half expecting her to point a finger and say ‘how dare you try and impersonate a writer?’ I was slightly disappointed she was neither wearing a pink sparkly dress nor brandishing a magic wand, but her oodles of knowledge, enthusiasm and desire to help more than made up for that. We had much in common and spent the day talking, sometimes even about writing. Her first critique of my opening few chapters was sensitively honest. Well written but disjointed and not flowing together, and why had I written so much about a cat? I had a lot to learn. I had been thrilled to have written 10,000 words, the most I had ever attempted before was a 200 word flash fiction piece, but eager to gain as much as I could from my experience I deleted most of my first draft, and I didn’t cry that much. I sent my second draft off with a dollop of self doubt. I wanted Louise to like it but, more importantly, to see that I had taken on board everything she had said. I am so grateful she has selflessly given her time to this project I wanted her to see how seriously I had taken it. I had made all the changes she suggested. Well almost all. The cat still lingered. Louise’s feedback was really positive, apart from the cat. I have now come to the end of my three months mentoring and miraculously have written 20,000 words (none of which now contain a cat). Mine gave me confidence which I had never had much of before and made me believe that maybe, just maybe I can write a book, (perhaps she did have a wand hidden away after all). For that I will be eternally grateful.